The Great Divide Trail Association is a 100% volunteer run organization. Ensures that the GDTA has applicable policies, procedures and strategic plans in place to grow and protect the organization. Ensures the continuity and sustainability of the organization through the individuals involved, including the Board, members and volunteers. Ensures that the roles and responsibilities of the Board, members and volunteers are clearly understood and are consistent with the mission and vision of the organization. Leads the Board nomination process, engaging potential candidates and ensuring that the Board includes an optimum mix of skills and characteristics that align with our values. Champions the Volunteer Recognition Awards and other mechanisms used to honour members and volunteers. Ensures the longevity of the organization through securing robust, diverse revenue streams to support and expand our capacity for operations. Builds awareness of the Great Divide Trail and GDTA. Ensures that the mission of the GDTA resonates with a broad audience of users, volunteers and funders through effective communication strategies and programs; robust and thriving outreach and education programs. 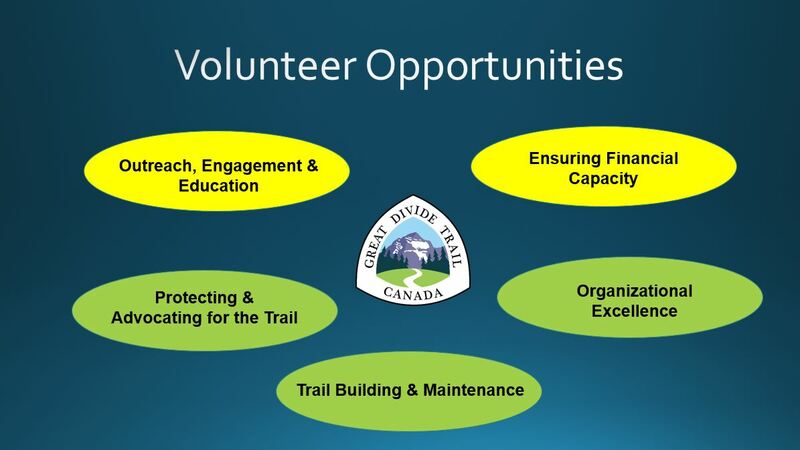 Engages the GDTA members in order to strengthen the community of volunteers that support the Great Divide Trail. Ensures an outstanding wilderness experience for current and future users that is consistent with the conservation and preservation of the scenic and wilderness value of the Rocky Mountains of Canada. Fosters quality trail design, construction, management, protection, and maintenance, that ensures an excellent trail experience for current and future users. This committee is currently full, but there will be opportunities to volunteer on a trail building or maintenance trip next summer. More information on these trips will be published in February/March. 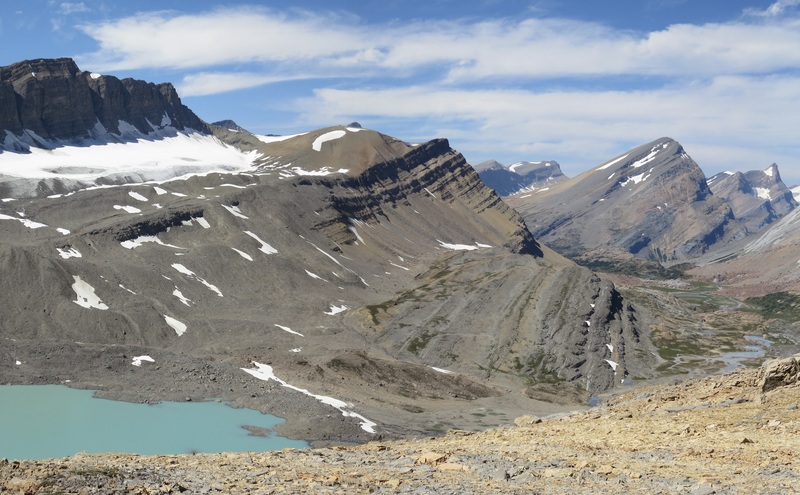 Pursues formal recognition and protection of the Great Divide Trail. Develops and maintains alliances with key governmental agencies and stakeholders, provincial or federal.